Plastic free packaging designed to fit through your letterbox. 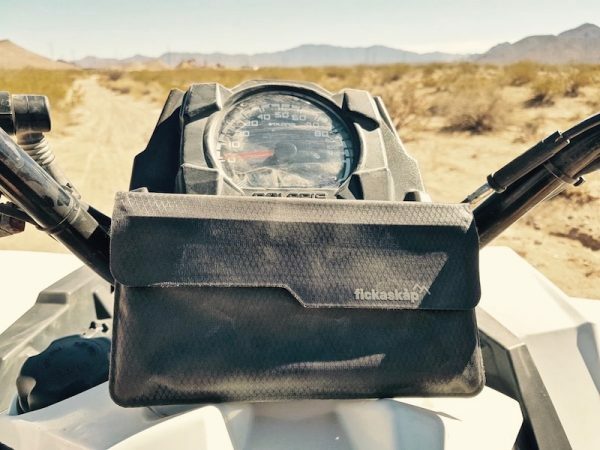 We use the highest quality, technologically advanced materials such as 100% Nylon Rip-Stop and TPU films. 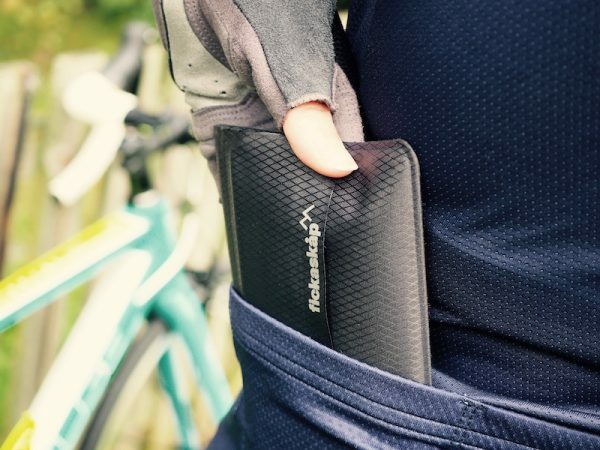 Together with ultrasonically welded seams, these provide exceptional levels of protection and waterproofing to ensure your phone and valuables are kept safe and dry. Our wallet is ideal for those times when you do not want to be carrying anything other than the essentials. 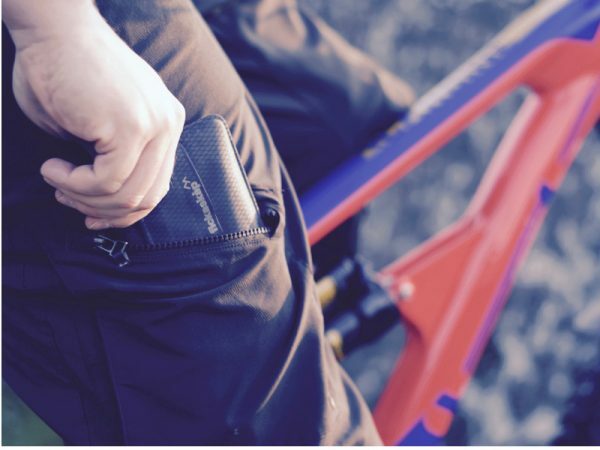 Designed to perfectly fit into cycling pockets does not mean it is just for cycling and mountain biking. We think it is suitable for all kinds of outdoor adventures. At Fickaskåp we believe that high performance functionality should not be at the expense of stylish design. All our products are designed with this philosophy in mind. 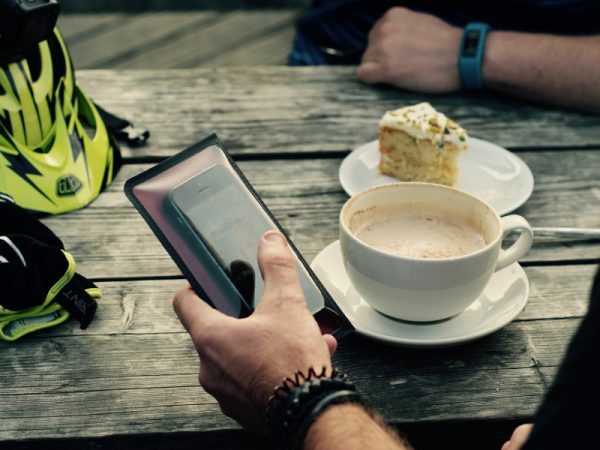 We know that style is as equally important at café stops as it is on mountain tops. Well made, good looking and functional. Bought for keeping phone dry in a bike jersey, but the best bit is having all my stuff together when I get to a cafe stop. Great product, does exactly what it says. Great customer service as we initially ordered the wrong size and it was exchanged without any fuss by return of post. Great products and value for money! Perfect for biking and hiking!! Brilliant piece of kit, larger size fits my Sony Xperia Z3 and wallet comfortably, and i can use the phones touch screen through the clear window without issue (even with gloves!). Robust construction and simple fold/velcro close should make it pretty indestructible. The overall service i received from Fickaskap was above and beyond. I received my product faster than i expected especially when the order was placed over the festive season. The product it self is outstanding. The quailty is tough and totally waterproof. I can not recommend this product enough. It fits my samsung S7 edge brilliantly. And works great when texting my friends and family. A great product ideally suited to its purpose. 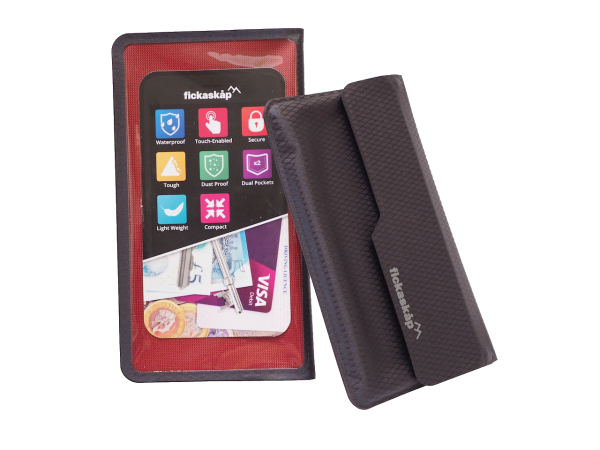 Keeps everything together and dry, plus the phone is useable whilst in the wallet. Would highly recommend this wallet. 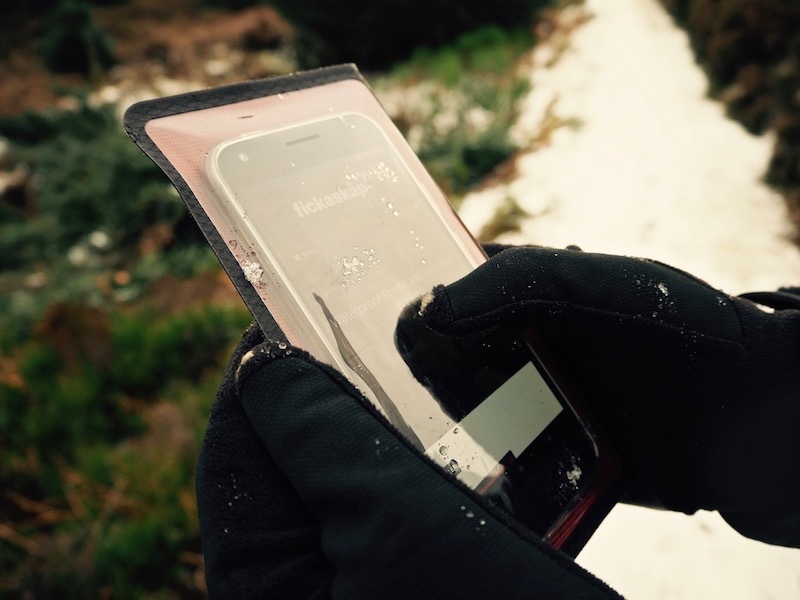 Zephyros Adventure Sports, the longest established and leading provider of adventure training in Cyprus, recently tested the fickaskap phone wallet with a group of instructors, on a high altitude winter hike in the Troodos mountains. 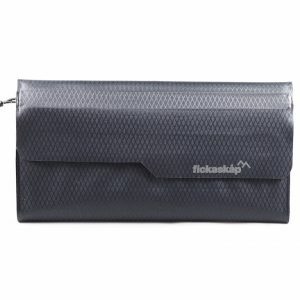 The phone wallet first of all impressed us with it’s simple, elegant design. no nonsense, high quality materials and build. It’s simple to use and the opening flap feels secure when closed. The touch screen ability is very important, enabling the user to operate the phone whilst still within the wallet. During the test we buried the wallet in snow and submerged it in a cold mountain stream. The operation of the wallet and the phone, inside, were completely unaffected. The ability of our team members to communicate and navigate reliably by hand held device, over great distance and in all conditions is essential for our operation and the fickaskap phone wallet is a piece of equipment that makes that possible. 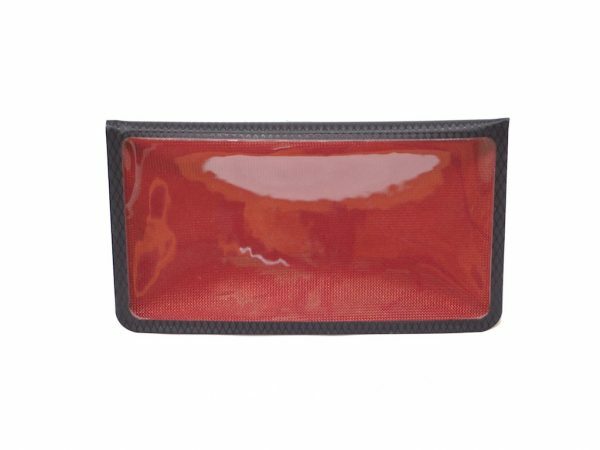 We have absolutely no hesitation in recommending the wallet for any one looking for a well designed, well built, phone/key/credit card wallet. 5 stars! Love the quality and practicality of my wallet. Fits my phone, cash/cards and keys in one safe waterproof place. Peace of mind in all weathers and all environments. Well made, usable protection . Prompt deivery to US. Great build quality and looks like it will last a while. Taking one star off because my phone does not fit into it with the case on despite being within size limits. Sorry to here that your phone doesn’t fit when in a case. We have updated the details to recommend sizing up if you have a bulky case and are close to the maximum dimensions. Great product I got the extra large for iphone 7 plus, just needs to be a few mm bigger to allow for phones with rear covers, I have a very slim cover for my phone and due to this it is a tight fit, without my rear cover it would be a doddle, but with that said a great product which will stop sweat/water destroying your phone. Very pleased from this purchase. 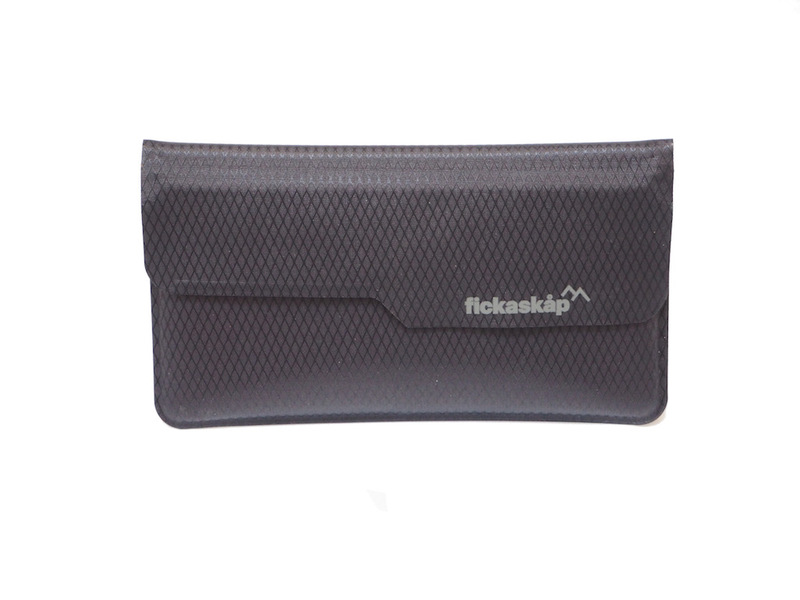 It is really useful if you want to protect your mobile from being wet and need a place to keep some money without losing them. It’s simple and effective. Looks good too. Great for an active outdoors day. My phone is in a wallet case with a front cover. I don’t want to remove it when I cycle so it is a very tight fit with the cover folded back and definitely no room for anything else. A wider fit would be nice but appreciate most don’t use this style any longer. I have been looking for a waterproof wallet for months. 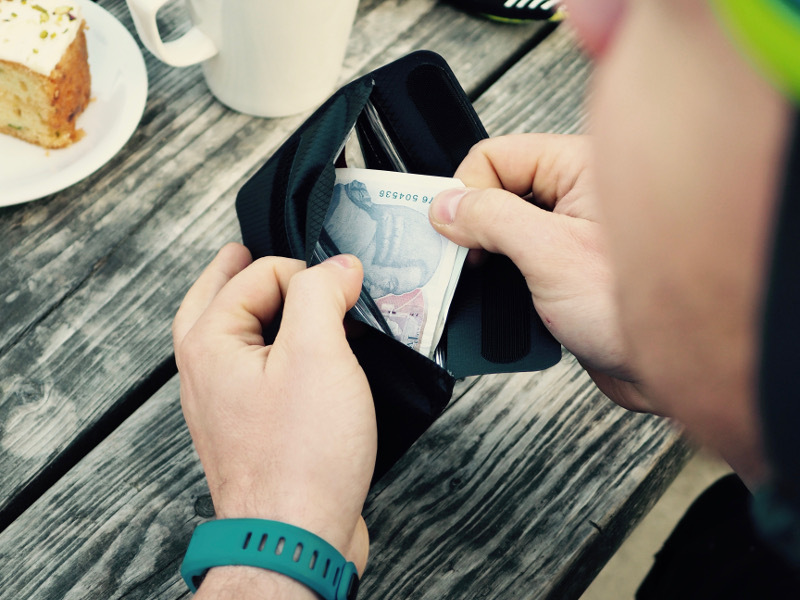 This wallet ticks all the boxes. Large enough to carry my phone and other valuables that I require protecting whilst riding. The best function is that I can use my phone whilst it is protected. I bought the large size . I have a Samsung Galaxy 9 +. 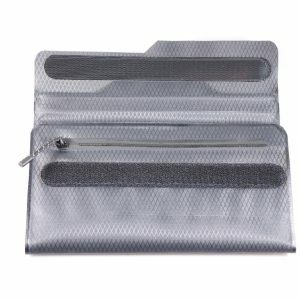 With the necessary protective case in place it does not fit in the wallet. Hi Sara, sorry to hear your phone doesn’t fit. 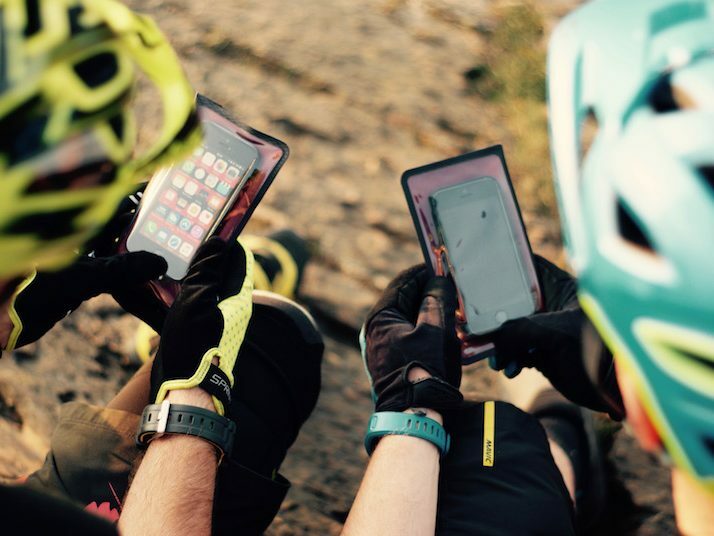 We do give a detailed size guide and do recommend sizing up if you have your phone in a case. If you’re already in a large size then unfortunately if you need to keep your phone in a case then the wallet won’t be suitable for you. If you send an email to returns@fickaskap.com with your order number, we’ll get a full refund sorted for you. Arrived on time, looked and felt exactly as described. Great replacement for my plastic bag… The sealing strip is great, don’t plan to get it wet anyway as it will live in my handlebar bag. Keeps iPhone, money and cards very secure. Very pleased with my purchase, product meets expectations and was very easy to order. 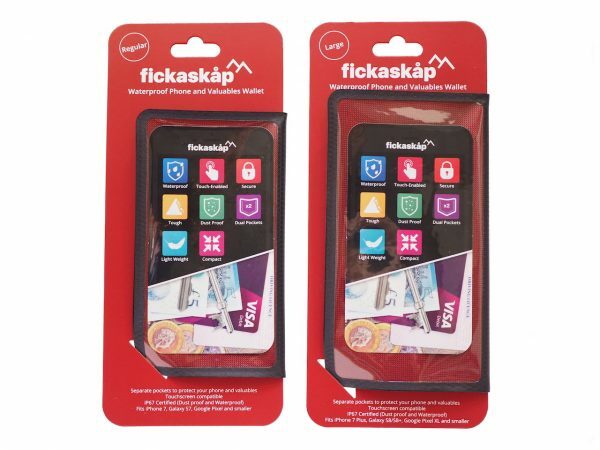 My only niggle is that the case I have on my phone likes to stick to the clear part, but this is not Fickaskap’s problem and is easily resolved by removing the case if I’m wanting to get my phone in and out a lot. Brilliant product, so glad I treated myself. Great product ! 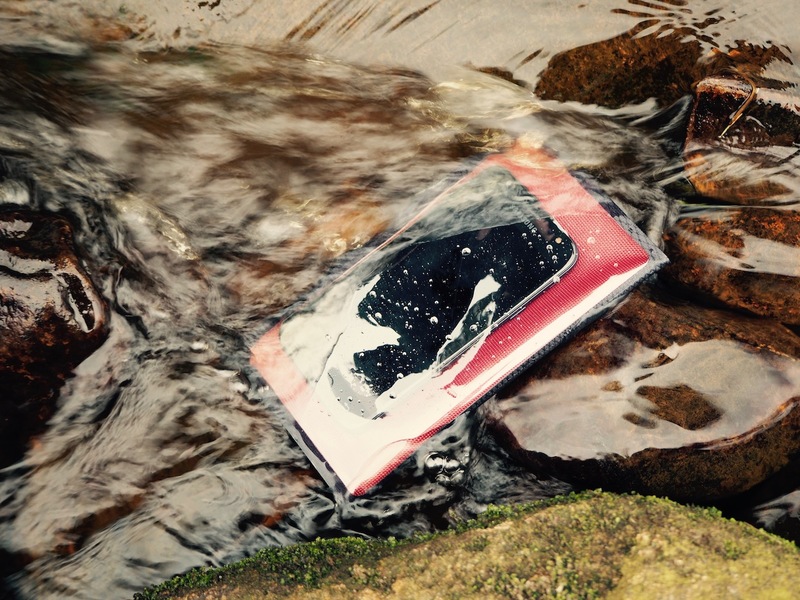 Hard to find a suitable waterproof wallet for my iPhone XR. So very happy with this product. Would by again. Great product, fast delivery with a nice personal touch in a postcard! The wallet is exactly as described. The only slight consideration is that with a bumper case on my iPhone 7, the fit is very, very tight and a bit finicky to get in and out. Once I remove it, the fit is perfect. Perhaps it’d be nice to add a few more mm to accommodate bumper cases.